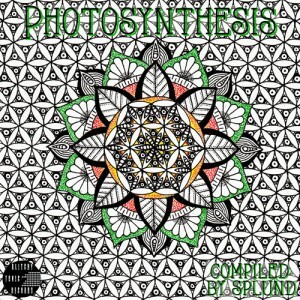 Photosynthesis is the 10th compilation from Splund in the last two years and incorporates all the things he loves most about progressive psytrance. Released on Glitchy.Tonic.Records, this collection on songs features a mix of styles from the more bush prog side of things to some dark vibes with a touch of tech. We hope you enjoy the journey! Artwork done by Splund. Mastered at Anti-Logic, Berlin. MP3 Download | FLAC Download | WAV Download · Download count: 13,088. Nice compilation of zenonesque tracks! Excellent compilation, I think I really tripped out on the Kaziel & Geometory – Wigglit track! Kaziel & Geometory – Wigglit is a definitive winner! Glitchy.Tonic stuff definitely getting better year by year… the mastering on these latest VAs is just delicious. nice n dynamic. the newest ‘zenonesque’ music seems a lot more subtle, diverse, clever, melodic, too… No longer the same rigid basslines and glitching noise oscillators. I approve. This comp is toadally awesome.